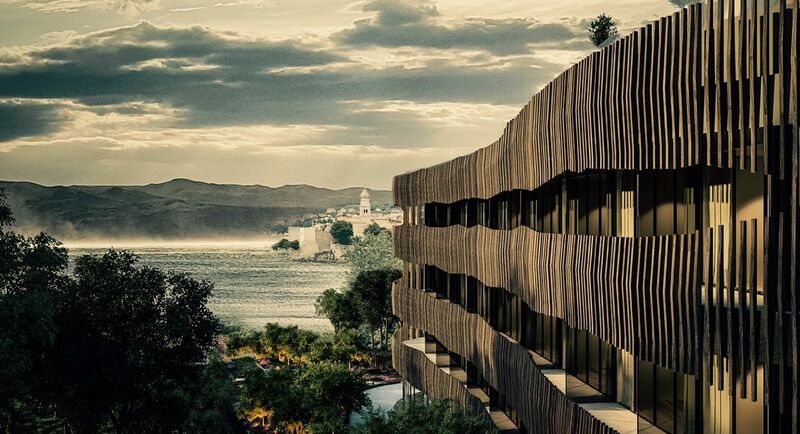 An impressive new boutique hotel, which includes a rooftop infinity pool with Croatian Glagolitic script, is to be built on the island of Krk next year. 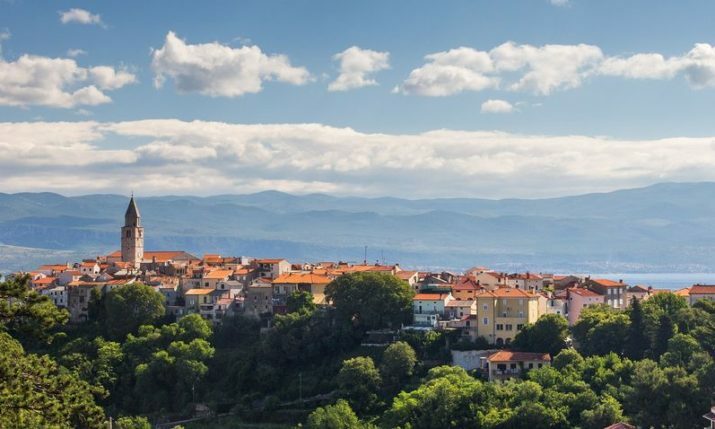 Located in Krk, the 11-million euro project has been designed by prominent Croatian architect studio Lotus Architecti, who are involved also in the New South community development planned in Chicago in the United States. “It will be a top hotel in a phenomenal position along the sea front and beach and in the old town. Krk as an island has virtually no boutique hotels, and this kind of capacity should be offered luxurious accommodation. Being close to Zagreb, it is planned that the boutique hotel will be open all year, and in the winter mostly for local guests”, Maja Bručić, who runs the studio Lotus Architecti, told Jutarnji list. 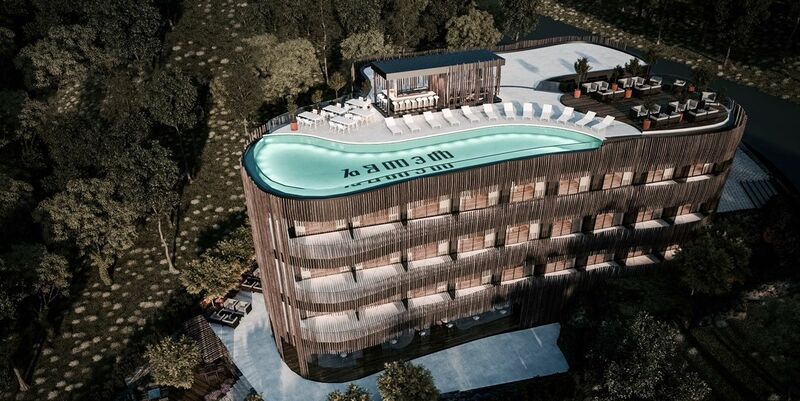 A special feature of the 35-room hotel will be the 125 m2 infinity pool with Croatian Glagolitic script. The Glagolitic alphabet was preserved only by Croats who used it from the 12th to the 20th century, mostly in liturgy. 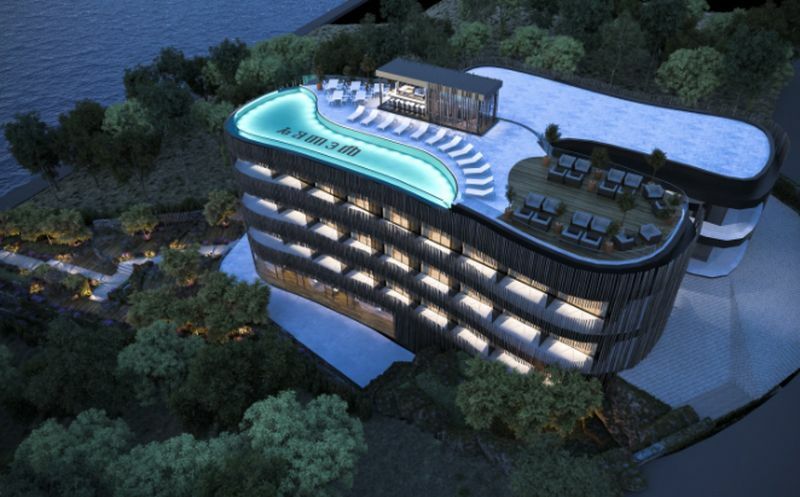 The pool will have a view out to Krk’s Old Town, the sea and city’s stone walls. 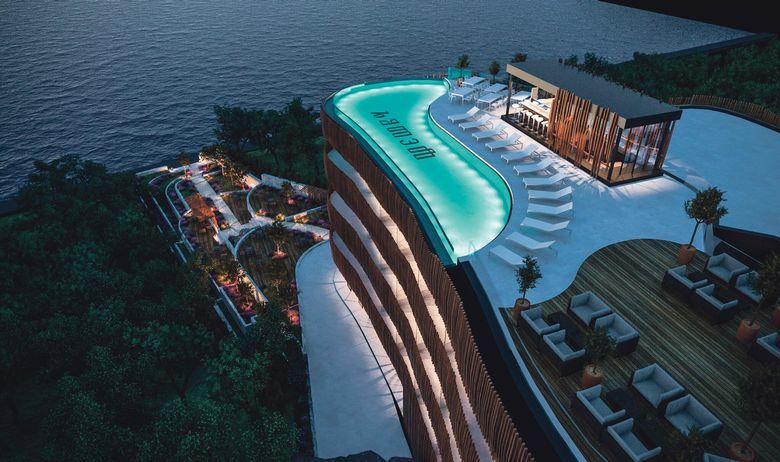 As well as a beach close by, the hotel, which will have a facade decorated with a combination of wood and concrete, will also have a top class restaurant and bar. Almost all the hotel is surrounded by greenery and its programme and concept will be based on the wellness facilities that will be offered to its guests.